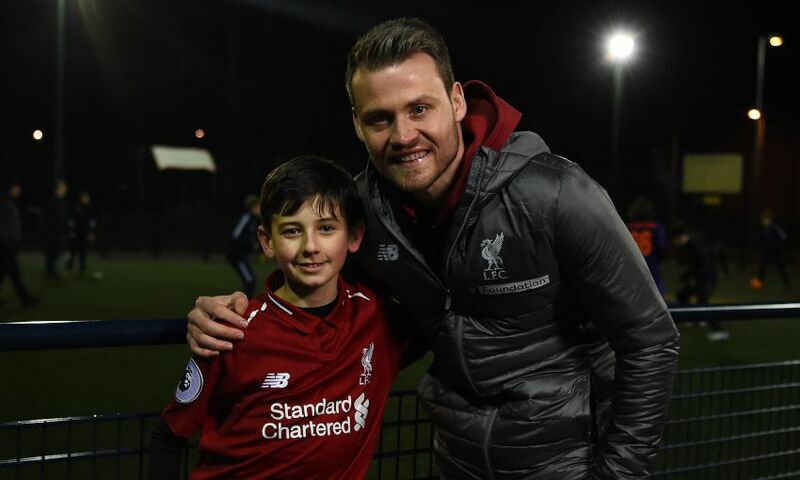 This month marks the 10th anniversary of LFC Foundation's 'Respect 4 All' programme and Liverpool goalkeeper Simon Mignolet joined the celebrations by paying a visit to a regular participant, Darragh Smith. The 11-year-old Reds fan is autistic and attends Respect 4 All sessions at Anfield Sports and Community Centre every week, where he enjoys working on his skills and socialising with the other participants. The youngsters were recently treated to a surprise visit from Mignolet, who spent some time with Darragh and chatted about football. “I’m glad he’s enjoying the sessions and that he can play his football here, that’s what it’s all about,” said Mignolet. Darragh has been attending Respect 4 All since 2015 and says he just wants to get ‘better and better’ at football. In those four years, he has grown in confidence and his footballing ability is now starting to shine through. Mignolet’s visit to ASCC formed part of the month-long celebrations marking 10 years of Respect 4 All. The programme uses a variety of fun and inclusive sessions to remove potential barriers that can exist regarding accessibility to sport for disabled people. Multi-sports sessions are aimed at people with a range of needs including, but not restricted to: learning difficulties, deaf and physical impairments, visual impairments, autism, and wheelchair users. Respect 4 All is funded by the Premier League and BT Disability Fund and has engaged more than 4,000 participants since its launch in February 2009. For more information on Respect 4 All and LFC Foundation’s other programmes, click here.